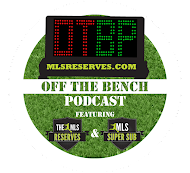 The MLS Reserves: "Off The Bench" Episode 35: Talking USMNT over Antigua & Barbuda, Eddie Johnson's goals and Chris Wondolowski as a DP. "Off The Bench" Episode 35: Talking USMNT over Antigua & Barbuda, Eddie Johnson's goals and Chris Wondolowski as a DP. The US Men's National Team displayed a lackluster effort in their last gasp victory over Antigua and Barbuda. Eddie Johnson returned to the scene in style but does it matter? Why Chris Wondolowski making waves in the DP argument and are Americans being overlooked in MLS? The NASL Championship is set and it's all to play for. Off The Bench is coming at you. Alan Gordon has made his way onto the national team. As a reward for listening, here's a picture of him from his Galaxy days...likely making the same face he made when he got the call from Klinsmann.